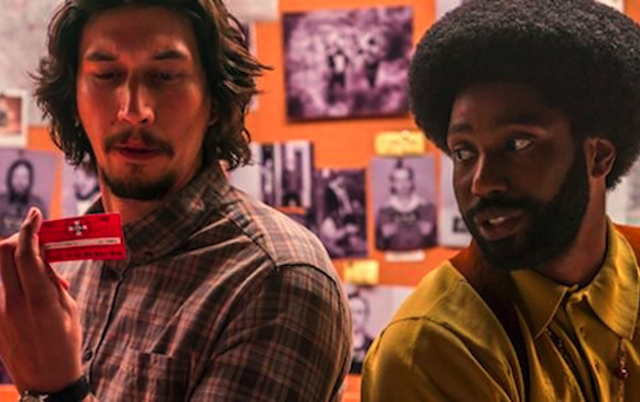 Going back to the days of natural afros and Motown funk, Lee steers a strong cast – including John David Washington (son of Denzel) as the title character – into a crazy ride of subterfuge and exposure of a hate group that was still incredibly influential during that era. The story, according to Lee, is (asterisks theirs) “crazy, outrageous fo’ real, fo’ sh*t” truth, as a black rookie cop makes a call to the KKK, and sends a white colleague to represent the false character he had convinced them wants to be a new member. The film has humor, action and edge-of-your-seat consequences, and then reminds us unerringly that this hatred is still present in our society, which breeds the contempt of Donald J. Trump. The veteran director, who also aided in adapting the screenplay, still proves there is fire in his belly as a creative force. Ron Stallworth (John David Washington) becomes the first African American cop in Colorado Springs, Colorado during the early 1970s. Frustrated with the desk work they initially give him, he applies for and gets undercover assignments. On a whim, he calls the local chapter of the Klu Klux Klan – who had been terrorizing the town of late – and asks to become a member. To his surprise, he is accepted. But obviously he can’t show up for the meetings, so a white Jewish colleague named Flip (Adam Driver) is recruited to represent Ron at the gatherings. The assignment gets even more unhinged when the KKK leader, David Duke (Topher Grace) takes an interest in Ron’s enthusiastic desire for membership. As the Klan becomes suspicious, the infiltration becomes more dangerous. The cast and the atmosphere was fantastic. John David Washington imbued a mysterious spirit into Ron Stallworth that drove the rest of the cast. Adam Driver is a chameleon who takes on personas comfortably and resolutely. Even Topher Grace, as a younger David Duke, brought the proper amount of scorn and balance to a difficult character. They are cavorting in an early 1970s attitude – represented by Ron’s girlfriend and black activist Patrice (Laura Harrier) – that went beyond the clothes and into the actual environment. Particularly effective is a “Black Power” montage at a reproduced speech by Stokely Carmichael (Corey Hawkins). One of the more enjoyable things about experiencing the career of director Spike Lee is his trademark “going off the page” in his movie stories. Besides the aforementioned montage, he had a beautiful segment with Harry Belafonte, the veteran actor and survivor of Dr. King’s civil rights movement. He portrayed a survivor of the lynching era, and held the 1970s black activists in thrall with his tragic story. The scene was simple but really powerful, as the 20th Century had too many instances of genocide when it came to the African American race. The film ends with another montage, that of Trump’s rise and the concurrent revival of overt white supremacy (Charlottesville was particularly poignant, as the first anniversary is this weekend). Sadly, we continue to fight each other over race instead of trying to find solutions. 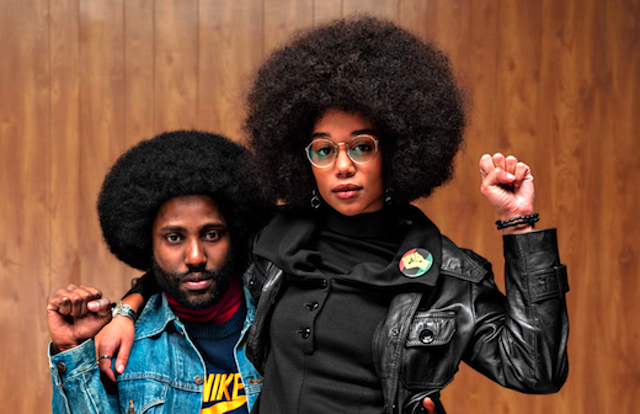 If it takes a film set in the 1970s to force us to look at our reflection now, then Spike Lee has done his good work. It even forgives a kind of victory over Duke that is portrayed in the film, it may have slowed him but it didn’t change him. How does the President of the United States – the whole United States – choose to reflect on the first anniversary of Charlottesville? By tweeting his disgust at African American NFL players choosing to exercise their First Amendment rights. Think about that if it’s ever brought up that we live in a “post racist” society.